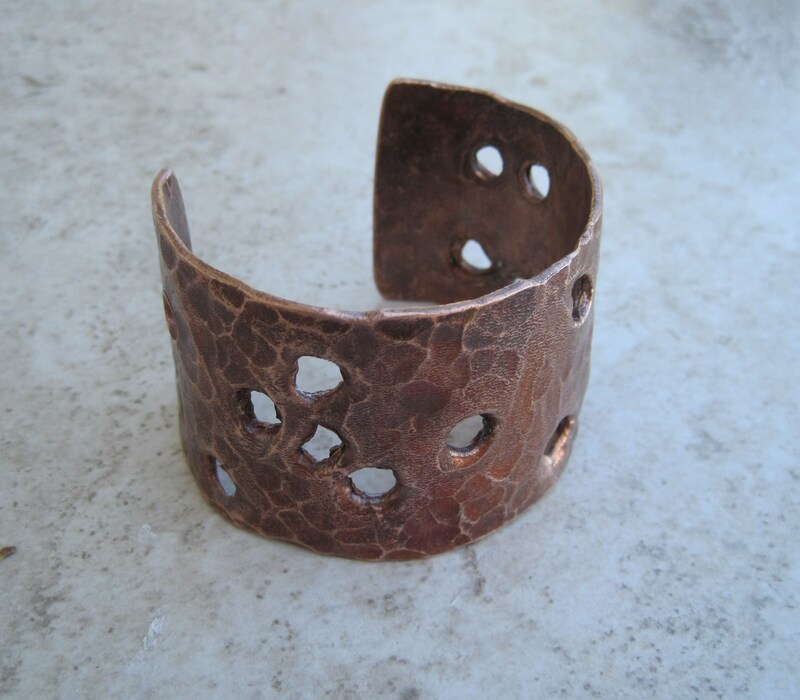 The Bullet Riddled, Fire painted Copper Cuff. 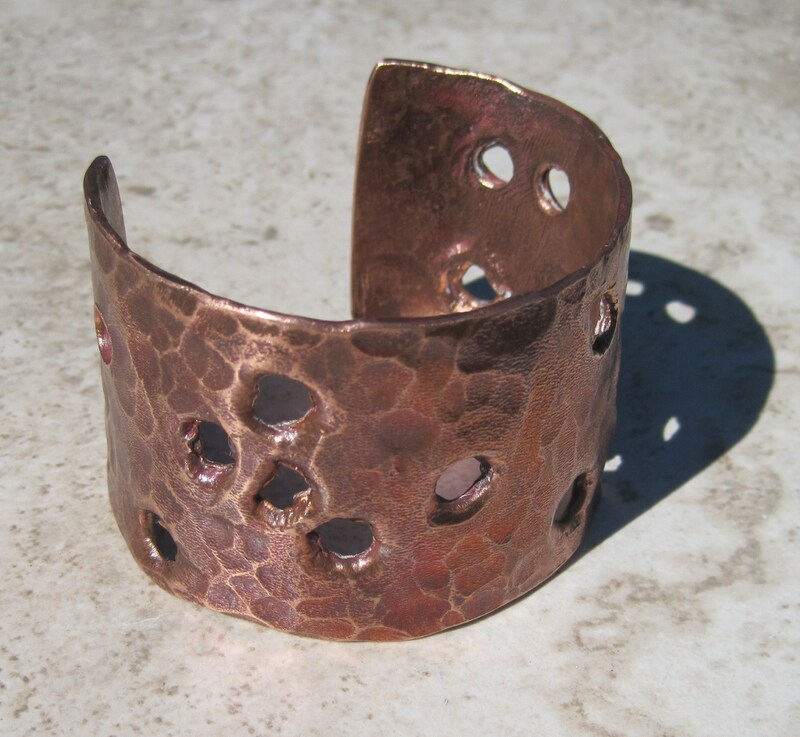 This is my rarely created Bullet Riddled Copper Cuff. 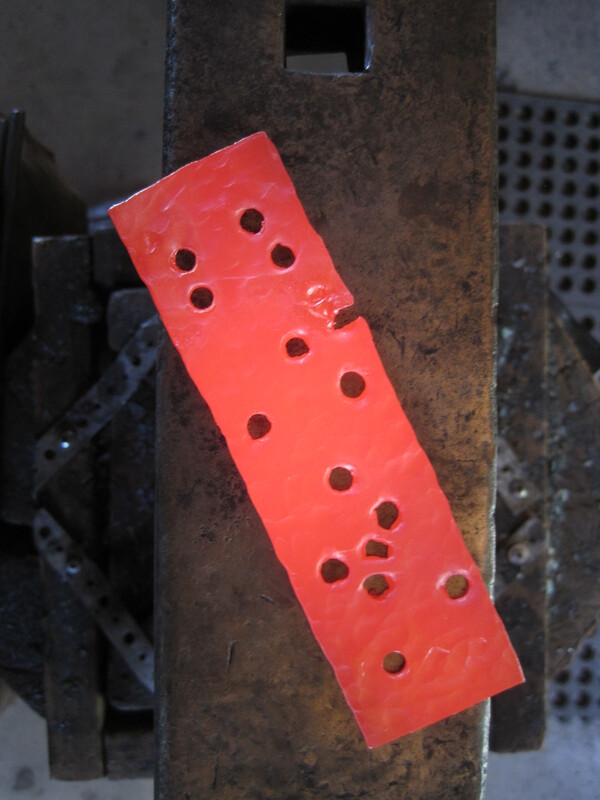 The copper is heated, hammer textured and then actually shot with a rifle. The sharp edges are sanded smooth for comfort and the finish protected in a special wax to help prevent green wrists.